Elon Musk announced yesterday that the upcoming Model 3 would be priced at $35,000 before any incentives. This is a tall order and I am skeptical if Musk can actually deliver, but if he does, he will drop a bomb on the highly competitive entry level luxury lease market. The Model 3 may even be the cheapest luxury car you can lease. The following scenario is speculative and is based on a few assumptions. The first is is that the Model 3 would indeed carry a purchase price of about $35,000. The second assumption is that the Tesla would maintain the same residual, or resale value, as a similarly priced BMW 320i sedan, which would be roughly 60%. Given the lease programs that Tesla is already offering on the Model S, I don't think this is too far fetched. I also do not include any tax, title, and tag fees as they vary from location to location. Let's first have a look at a lease offer from what is most likely the Model 3 primary target, the BMW 3-series. The 320 is what many call the "lease special" it is the least expensive sedan you can get. Right now you can have a BMW in your driveway for as little at $309/mo for 39 months. If we look at the fine print we see that this payment is based on an MSRP of $35,300.00 which includes the equipment listed above. For those of you not familiar with leasing lets to a general breakdown on how BMW comes to that $309/mo figure. With a lease you are basically only paying for the depreciation. Here is how it works, the sale price of the BMW 320i is 35,300 we subtract the $2750 down payment and we get $32,458. According to BMW the residual value of that 320 in 39 months will be $21,886.00. The difference between the residual and the purchase price of $32,458 is $10,682, this is then divided by 39 months for a payment of $273. But how did BMW get that $309 number? Well even with a lease you still have to pay interest otherwise known as "money factor." BMW is assuming a money factor of .0013 which multiplied by $273 is about $36, now add that to $273 and we arrive at the payment of $309 (before taxes and fees). Even if your head is spinning from all that math, here is what you need to think about. We know the lease is mostly determined by the purchase price over the residual value, what if the purchase price on a $35,000 is now reduced by $7500? As that is how it works with EV leases, the lease company takes the tax credit and deducts it from the sale price. Now we have a Model 3 that has a purchase price of $27,500. If the Tesla can maintain the same 60% residual value as the BMW for a resale of about $22,000. The difference is $5500 divide that by 39 months and you have a payment of 141/mo, multiply the same .0013 money factor for a total of $160/mo (before taxes and fees). That $160 figure seems almost too good to be true. Of course the Model 3 will have a starting price of about $35,000. I think it is safe to say that with options most cars will come in at about $40,000. But even at 4ok, with a 60% residual value of 24,000 and a money factor of.0013, that puts the payments around $245/mo (before taxes and fees). However the numbers fall there are few takeaways from this. First, for the most part is it is better to lease EVs than purchase them. Second, if Musk can pull off the $35,000 base price before incentives he has the potential to wreak havoc on the entry level luxury lease market. 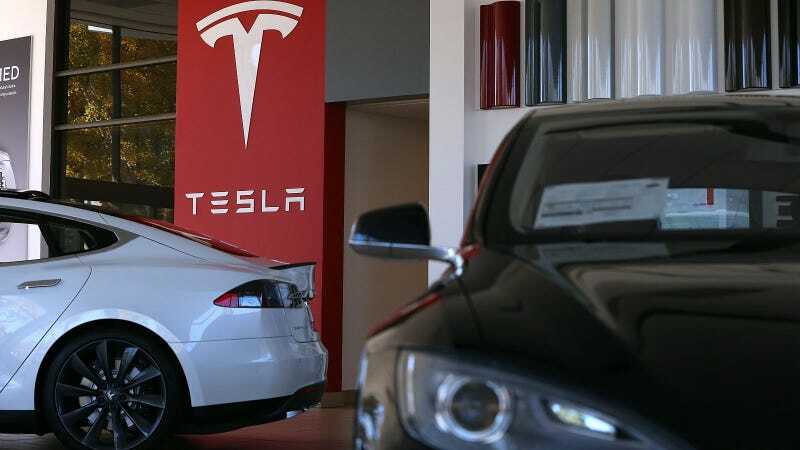 As of now BMW, Mercedes, and Audi dealers have been pretty tolerant of Tesla, they figure the brand simply does not have the volume to pose a threat. Depending on how Model 3 pricing and production plays out in reality, I would not be surprised to see the dealership organizations lobbying Congress to reduce or remove the EV tax credit, citing "unfair competition."